David Perry, the only suspect in the disappearance and probably murder of St. Pete Police Academy Cadet Kelly Rothwell has plead guilty in his second trial for fraud and grand larceny in Steuben County New York Court today. Perry was sentenced to 4 1/2 -12 1/2 years to run concurrently with the Broome County sentence of 4-15 years. Unfortunately, Steuben District Attorney Brooks Baker was unable to get the consecutive sentences, which would have kept Perry in jail for a much longer period of time. 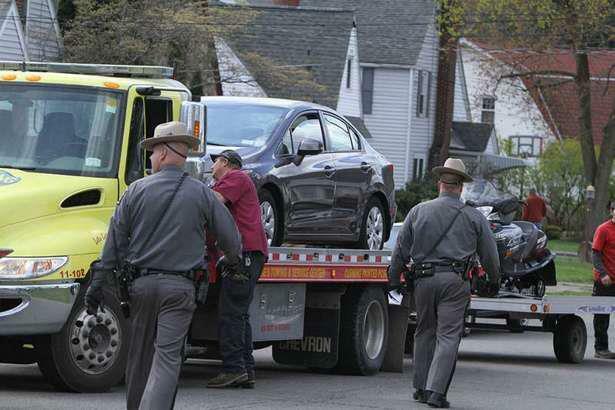 Perry also forfeited all of the vehicles AND the more than $120,000.00 seized when he was re -arrested at his Elmira home March 13,2012 a year and a day after Kelly went missing and he presumable killed her. The duplicate set of charges stemmed from a 2003 Work Comp related accident in which Perry claimed to have been injured while helping to subdue a prisoner. The offenses were prosecuted in both counties because the NY State Pensions Fund was located in one, and the bank where the money was deposited from the Pension Fund was located in the other. But what does this mean for the Pinellas County Sheriff's investigation into Kelly's disappearance? When I called to speak to Det. Mike Bailey, I was told he had retired and the case now belonged to Det. Amy Plourde, who had partnered with him on the case from the start 4 years ago. As of this writing I am waiting for a call back from Det. Plourde as to what, if any, developments have may have surfaced to help find Kelly or the person who, in all probability, murdered her. Detectives in New York, who worked tirelessly on getting Perry convicted on the fraud charges all think that Perry killed Kelly Rothwell, but without a body as evidence, the chances are very slim that Perry would ever be brought to trial for her murder. They had tried to provide the Pinellas detectives with as much information about Perry's movement once he got to New York as they could. According to a source, that information was either not utilized or not followed up on with much conviction; whether it was time or distance, no one can be sure. "I hadn't heard much about him lately , but this (conviction) is good news. Unfortunately, he will never say a word about Kelly or what happened to her. He's not that stupid. He knows that if he keeps quiet and they never find her, he'll get away with it." I have always maintained that Perry took her body to New York him the night he killed her in the condo they shared on Indian Rocks Beach. After a lot of research, my conclusion is based on the fact that he is a control freak; a narcissist who always wants to be in command of any situation. I think he took her to New York because he knew the Pinellas County Sheriff's office had neither the manpower or the resources to look for her up there. And really, where would they even start? Perry WAS tracked to Ohio and Oklahoma by NY State police. But where he went after that is a mystery. Could he have met up with his old friend Jeff, an ex correction officer ,who had a major drug conviction and was living in Arizona? Could he have had help from any of his other friends in Elmira? One of them has a house on Lake Seneca; that lake is 623 feet deep... he has a boat.. he and Perry worked together at the Elmira Correctional Facility. 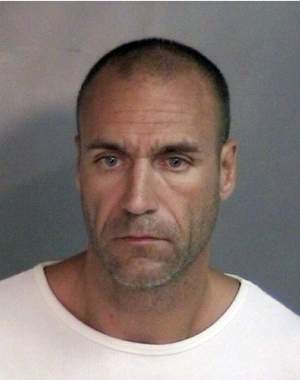 According to sources, Perry called him when he got into Elmira later that night, AFTER he had left Florida in a huge hurry, shortly AFTER Kelly Rothwell came home on March 12, 2011 to break up with him. And what about the moving receipts that were found among Perry's papers? Apparently he has paid upwards $6000.00 to a moving company earlier in the week to move his belongings to... where???? Could this be what he had planned all along? Lying in wait for Kelly when she got home, planning on killing her... knowing that as a police Cadet she had probably found out about some sort of illegal activities, things that Kelly had alluded to one of her sisters in a conversation the year before,.. Canceling his gym membership the week before, telling the manager he was "moving to Hawaii"... then Melissa Walker comes into the picture, a National Guard reservist who just coincidentally is being relocated to .... Hawaii... a girl he met on Craigslist, who he marries just three months after Kelly's "disappearance"? Melissa Walker divorced Perry in July of 2013. Nancy Rothwell, Kelly's mother admits while Perry's conviction isn't exactly closure for her, at least it's something that will adversely affect Perry's life. "Any time anyone has to forfeit money at least it will have an impact his life. I'm just grateful that he has been in prison for this long.. I appreciate the time that he's been where he is.. at least he can't hurt anybody else right now, " Nancy said. She was also surprised to learn that Det. Mike Bailey has retired and Det. Amy Plourde was now running Kelly's case. "I've been very disappointed that there has been so little communication from them (the Pinellas County Sheriff's department). I haven't heard from ANY of them in three years, no updates, nothing!" Nancy said. "It would have been professional of them to at least send me a letter or a text or to get a phone call from them about Kelly's case and Detective Bailey. I don't even know what the status of the case is at this point. I feel sorry if other Pinellas County families are going through what ours is if this is how they treat the families of missing people. I know they have my home number, my email address and my home address. But in three years, nothing!" Nancy is normally a very quiet, private person and her frustration was very evident in her voice as we spoke on the phone today. "A little communication would be professional. The one time I went down to the Sheriff's office, I got up the nerve to voice my opinion and Det. Plourde promised that she would call me with updates, and stay in touch. I never heard from her again..."
On March 12, 2015, it will be 4 years since Kelly Rothwell went "missing"...and it seems that police are no closer to finding her or what happened to her than they were 4 years ago. As of the time of this posting I still have not heard back from Det. Plourde. Someone out there knows something, heard something, saw something. Kelly Rothwell needs to come home. New York State Police seize Perry's vehicles and other toys.